Exceptional Ranch Home on Cul-De-Sac in Desirable High Pines Community! Close Proximity to I-25, Located in School District-38 and Excellent Mountain Views! 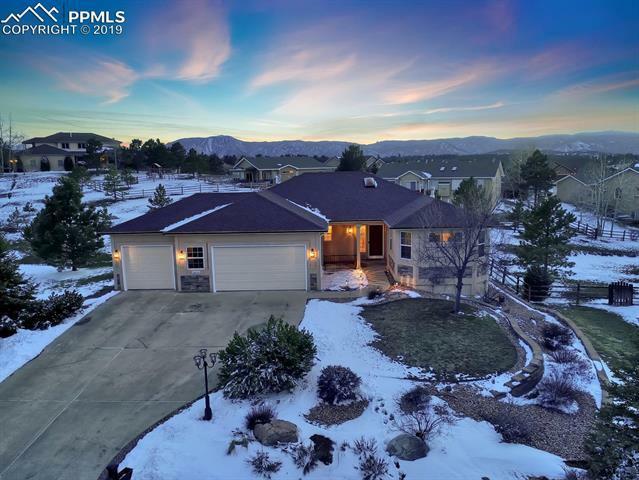 Situated On 20, 000+ Square Foot Lot Well Landscaped with Mature Trees and Plantings, Large Back Composite Deck Offers Amazing Views of Front Range. Additional Concrete Patio Off of Basement Walk-Out Provides Added Space For Outdoor Entertaining. You Will Love the Stucco Exterior, Secure Entry with Ring Doorbell and Electronic Door Lock, and Electric Dog Fence.